The 3 and 3T were the OnePlus flagships two years ago. Despite this, their manufacturer appears to have committed to update them to the latest version of Android. The phones currently run stock Oxygen OS (OOS) based on Oreo 8.0. 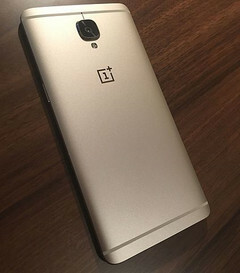 The 3 and 3T are OnePlus’ 2016 and late-2016 flagship releases, respectively. Their owners may have been pleased to learn that they would be supported with updates and security patches for some time to come. On the other hand, the phones are also near the ends of their product cycles and still lack a stock OS based on the newest version of Oreo. OnePlus has recently offered a good excuse for this: they’re bringing Android 9.0, rather than 8.1, to the handsets. working closely with Google on the Android P Beta program. This may come as welcome news for customers who are aware that the official release of Android P is near at hand by now, thus rendering 8.1 considerably closer to obsolescence. On the other hand, OnePlus’ official statement on this subject also mentions that 9.0 will come to its flagship devices in this order: 6, 5/5T and then 3/3T. In other words, people who still use the 2016 phablets will be at the back of the queue for the newest updates. The Chinese company has promised to keep those individuals posted on new developments on this issue over time.